Playing video games all the time? Sitting idly, just doing nothing? Is he becoming fat day by day? Is your child not finding a sporty game? You are searching something that will keep him safe and also give him a “speedy-sport” ? If all the answer is positive, then it is high time for you to give a scooter to your kid. Seriously, a scooter can make your problem much easier than you can even think. Children of 5-10 years or the pre-school goers don’t need to keep themselves busy with studies all the time. In this period, they develop the habit to pass their leisure by doing something. Because at this time, they start to go at school, and they have to read, when they get tired, they find something that’ll relax them. So, they start playing video games. Well, it opens the big world on a small monitor and makes you the king of the world! For this reason, kids nowadays are addicted to gaming. Don’t get upset! Because there’s coming a solution for you. Yes! A kid’s scooter will solve this problem. Kids will love scooters because it is a fun ride. You just can push it and get speed. You don’t need to walk or run. So, it’ll not hurt legs again. Make your kid understand that with it, he or she doesn’t need to walk anymore, and they can go for exploring sights. For worrying parents, kid’s scooters have a certain speed limit. When the speed goes beyond it, it starts shaking and your kid will feel uncomfortable, and she’ll stop pulling more speed. Pretty intelligent, no! But , whatever the speed limit may be you have to put safety gears on your kid, in the case of the kid’s safety remains assured. Scooters keep him moving and let him see things, putting less effort than running. 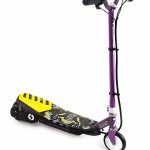 Your child may not want to run, but a kick scooter is a modified way of running. It’s the secret between you and me! It doesn’t allow to freeze fat in the body. Help with circular blood so that the body keeps fresh. Kids explore new sights that make their mind broad. Keeps their mind out of games. Makes them sporty and never let them be idle. There are different types of scooters for kids in the market. Well, it is different than you are thinking, a scooter which is for kids, we just not that only kids will run it. Teens can also drive it. Though, I didn’t want to turn adults into kids! You can check Electric Scooter for adults from here. There are tri-wheel kick scooter, two-wheel kick scooter, electric scooter and street-legal scooter. I have separated each to make you very clear about these different scooters. Tri-wheel kick scooters are for little kids of 4-6 years, who are unable to master balance. They can easily ride them as these scooters support them with three wheels. With two-wheelers, you have to keep balance also for electric scooters you have to master balance. Electric scooters run by batteries and have an engine under the foot deck. I think you have got quite an idea that your kid needs a scooter. So, grab it and let your kid more sporty. 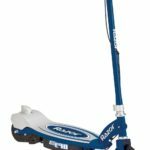 Why You Choose "Electric Scooter only" For Your Kids?